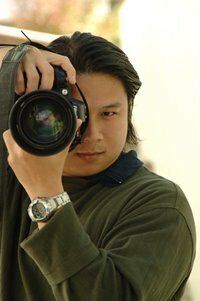 The Visiting Scholars Program brings nationally and internationally known scholars and artists from other universities, within and beyond the U.S., to Oklahoma City University for visits ranging from a few weeks to an academic year. Visiting scholars and artists will significantly enrich the academic experiences of OCU students and faculty by teaching courses and seminars in their areas of specialization, interacting with students beyond the classroom, and participating in community outreach programs at area schools, churches, and community groups. 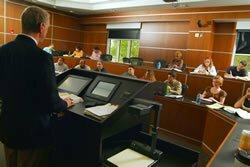 Depending on the academic discipline, scholars teach, team-teach, or serve as guest lecturers on campus. Scholars also develop programming and events beyond the classroom and may be invited to work with faculty committees depending on their areas of interest and expertise. Aside from small-group and panel discussions, events, and presentations, scholars are invited to lecture to members of the campus and surrounding community. 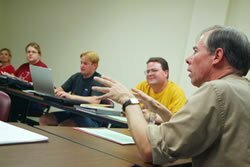 The visiting scholar is encouraged to become a fully-engaged member of the OCU community. While this engagement is vital to the success of the program, scholars also are able to enjoy time for research and scholarship, making it ideal for faculty on sabbatical. OCU offers visiting scholars a housing package including a fully furnished two-bedroom, on-campus apartment. 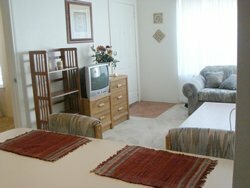 Located in Cokesbury Court, the apartment comes with all utilities, including local phone service, cable television, and Internet access at greatly reduced rates, or in some instances, at no charge. A campus meal plan and teaching stipend may also be available. 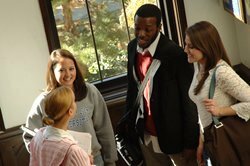 As a small institution with a diverse student population, Oklahoma City University offers visiting scholars opportunities for small groups and one-on-one interaction with students and faculty, as well as greater access to all levels of the university’s administration than would be available at a larger institution. The university offers full scholarship programs for underrepresented minority students and for Native American students, has a large international student population, and boasts an active university-wide Honors Program led by Dr. Virginia McCombs, the 2005 president of the National Collegiate Honors Council. A visiting scholar is a welcome guest lecturer at events for all of these groups and a welcome catalyst to bring these groups together on campus. With its large Native American population, Oklahoma has many opportunities for the visiting scholar to experience Native American culture and the intersections of that culture with other segments of the population. Scholars have access to the university’s two libraries and work in close proximity to two large, well-respected public universities’ libraries. Oklahoma City University also has lending privileges at other libraries across the state. Unique to Oklahoma City is the National Memorial Institute for the Prevention of Terrorism, a nonprofit organization dedicated to preventing terrorism and mitigating its effects. With prior arrangements, the institute’s library and other resources are available to visiting scholars.